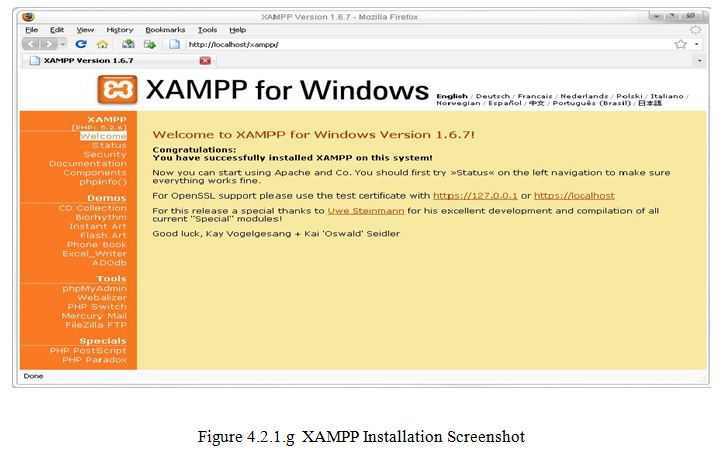 XAMPP is a free, cross-platform web server, consisting mainly of the Apache, MySql, PHP and Perl programming languages. 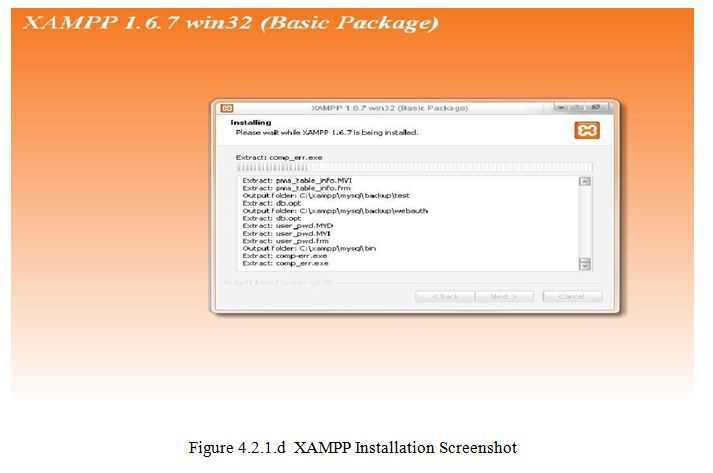 • We have to Click the XAMPP installer. • We will click next to continue installation. 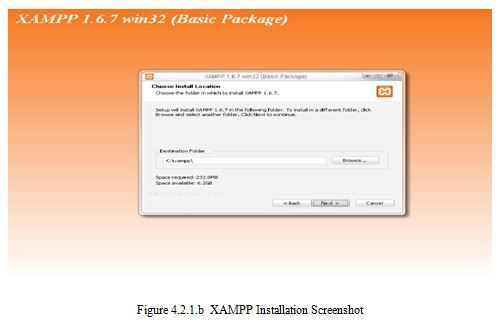 • A screen looking like the Figure 4.2.1.b will come, where we will select the installation path of the XAMPP and click Next to continue installation. • A screen looking like the Figure 4.2.1.c will come, where we will select the Apache and MySql to be run as services. Now, Click Next to continue installation. 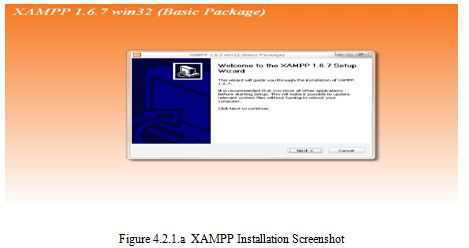 • Now, the installation process starts like Figure 4.2.1.d and we will wait for the next screen to come. 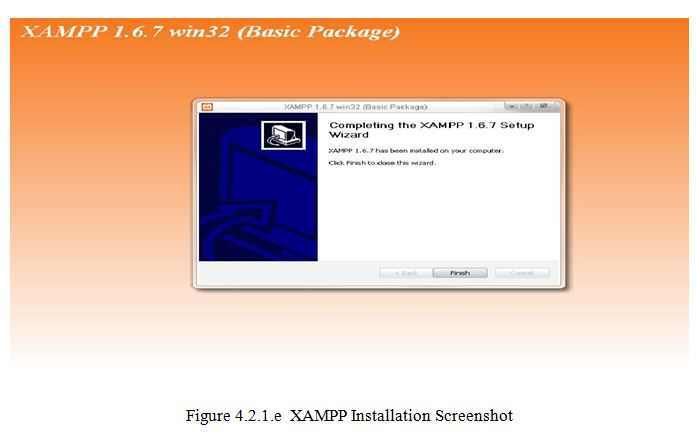 • In this screen we will see that the XAMPP installation is succeed (Figure 4.2.1.d) We will click Finish to complete the installation. • Now, We will open our Internet browser and enter http://127.0.0.1/ or http://localhost/. 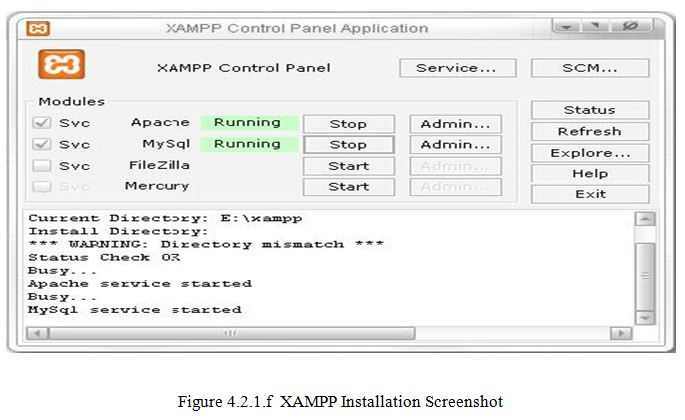 If Installation is OK, then we will see the XAMMP start page. Click on the English link and browser will display a page like Figure 4.2.1.g.